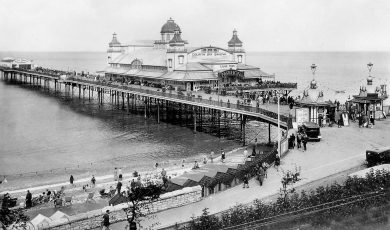 John Meerwald was born in Colwyn Bay, his father died when he was four years old. When the war started his widowed mother was obliged to take in either evacuees or civil servants from the Ministry of Food. ‘We had two. One of them became my stepfather in 1941 when he married my mother. He had served in the first world war in the black watch and he was highly decorated. He got the DCM Distinguished Conduct Medal, the Medal Miltaire which is the highest French award. This is for something he did on the Somme. Peter Stewart marrying my mother was the best thing that happened and I got on famously with him. He was one of the Guinea pigs.’ I joined the civil service when I was 17. I sat the exam in January and I joined the civil service in April and I still hadn’t got the results in September. So I sat the exam again and I was called up in November. And just before I was called up I was told that I had passed the civil service exam and I had a letter, it came in November and it told me I had been appointed as a clerical officer in the Ministry of Education in London. So I wrote back and said there’s no point in me coming I have been called up and told to report on the 13th November. So somebody somewhere – and I think it was my stepfather – tried to get me reassigned, and I was assigned to the Ministry of Food, so I never did work for the Ministry of Education and I re-joined Ministry of Food as a clerical officer in 1949 having done two years three months in the Royal Air Force I came to Guildford – we came in order of whatever division you were serving in. I came down in March 1950. None of us had got anywhere to live. They had the big house at Uplands and at the back attached to that were these wooden huts, so these were turned into a hostel for men and the big house was the hostel for women , apart from the big communal lounge downstairs that we could all go to. But the building of the site must have been started in 1948, because the staff of the Minstry of Food must have moved in 1949, and there was only A block that was finished. In 1948 blocks A, B and C were started but A was finished in 1949 but the other two were not ready until 1950. I lived in the hostel from March to November because when we came down the agreement between the Ministry and Guildford Borough Council was that we would be allocated council houses. The Ministry drew up a list of needs. Those with larger families were top of the list, and those with children were next and those who were married with no children were at the bottom of the list. 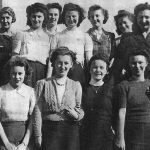 We were lucky enough to get a house at Bellfields 13th November 1950 – and that was exactly the same date that I was called up in 1946. [John lived with his mother and stepfather]. When we first came down to Guildford I lived in the hostel and I shared a room with Keith we had known each other in school. The married couples had an offshoot of the hostel in Farnham. John Vaughan, father of Pamela was one of these. Pamela was born in Guildford in the ‘50s. John and Molly met in 1951 in Guildford, although she was also from Wales. He had never been to Betws yn Rhos where she came from, and he had no vehicle. She had come down in January 1950. They were not working in the same department but they used to see each other in the canteen. At the bottom of B block just next to the road they had ‘sheds’ just roofs and bike racks, everybody had bikes in those days and it was going home time one day and I was getting my bike and she was getting hers but she had a puncture so I mended it for her, and I cycled home with her. And that was the start of things, they married in June 1953. 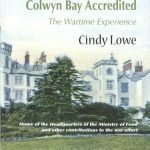 When I worked in Colwyn Bay in 1946 I was in what they called ‘Salvage division’ I had no idea what salvage was. Ever heard of buffer depots? They were a bit like the building on Bryn Euryn, but no windows, they were sealed, and used for the storage of flour and sugar, anything that was edible, for emergencies in case something was bombed and there was no food around. Every area had one. There was one not far from here Alton, its now a depot for recycling. So then we were recording everything that was going in and out of there on cards. There was no such thing as computers in those days. Holleriths were the fore runners of computers. Molly [his wife] used to work on them. When they went from comptometers and the new computers came in people used to punch things in on the cards and then there was the verifying section which used to verify what they had done. If they both had the same thing that was proof that it was right. But she wasn’t on that for long then she went on the computer machines, you could just about get them into this room. Harold Young was one of those I recruited. They wanted boys to work on the big machines because they were working sometimes late at night and they didn’t want girls. Harold is now retired and President of the Uplands Travel club. His wife Jacqui is the secretary, they both worked at the Ministry, one in Chillworth. (Another colleague was Derek Price. Others from Colwyn Bay and Guildford joined the Travel Club which still thrives). Some of the guys who came down from Colwyn Bay were very Welsh. They could understand English up to a point but they weren’t fluent in it. We had one little messenger chap (Hughey his name was) who came from Llanfairfechan, I think, and he used to go and wake up Ken, who was a bit of a lad and would be out late at night. The story was he went one day and opened the door and Ken was lying in his bed in the hostel with his knees up and he said ‘Wake up, you look like a hippo thomas’ and the same chap he used to follow the football team said about another player who was keen on football but was pretty useless at it (you know he couldn’t co ordinate things) so Hughey said about Tommy ‘he’s so enthuistic’ people laughed and he went away and came back and said. ‘I know why you laughed, I meant enthuastic.. [He was obviously used to speaking Welsh at home as a first language.] Then gradually as the council houses became occupied eventually the hostels were replaced and some of the hostel space was used for storage…then the community separated. They joined things, the men who played bowls went and joined some of the bowls clubs round here. In Colwyn Bay it’s a crown green but down here its aflat green. A lot of them who were used to crown green were pretty good at it and took to it like a duck to water, they soon mastered the flat green. They integrated well and they used to win quite a few things. Eric, with whom I worked was secretary of the cricket club, and he came down here and made it his business to go round and find the secretaries of the local village teams, that’s how the club survived really, and its still going to this day. But its known as Uplands cricket club today. When we came down it was known as Ministry of Food cricket club but when it was merged you couldn’t really call it Ministry of Agriculture Fisheries and Food cricket club, it was too much of a mouthful, so we named it after the house. I am now the President because I am the longest serving member. More or less a founder member, it was founded in 1940, I first played in 1949 and played right through until 1985. 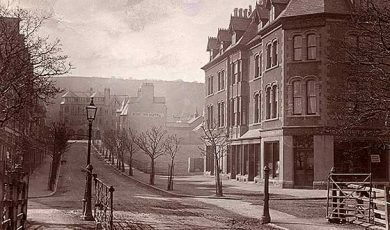 I played in Rhos on sea as a teenager. 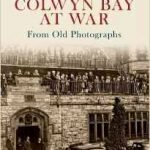 Colwyn Bay Cricket Club raised funds during the war for the Spitfire fund by holding charity matches in which many well known cricketers took part. In my autograph book the first one I asked to sign was Len Hutton. He was the chap who held the highest score against Australia in those days and he became captain of England as well. And the first black man that ever spoke to me in my life was Learie Constantine. He was ín the legal profession. The ‘Plus adder’ and the ‘ODHNER’ are machines given to the display. Swedish made approximately 80 years old. A demonstration of how they work can be see on U Tube. Just google Odhner, the name of the inventor. What a brilliant job they did with these machines in those days, and some were only teenagers, with a great responsibility. John Meerwald was interviewed by Cindy on October 25th 2012.